Intended Audience: Nurses, Doctors, Firefighters, EMTs, Hospital/Clinic personnel, Dental Workers, or anyone interested in the healthcare field. Description: The American Heart Association Basic Life Support (BLS) Healthcare Provider course is a higher level CPR class that is designed to train healthcare professionals on recognizing and responding to several life-threatening emergencies. Nearly all Healthcare workers are required to have at least this BLS class. 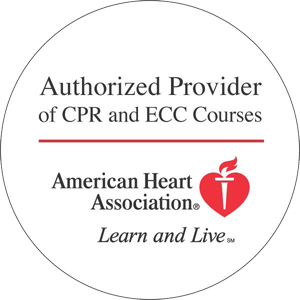 Skills include: Providing CPR for adults, children and infants, using an Automated External Defibrillator and relieving choking in a safe, timely and effective manner. The course is intended for certified or non-certified, licensed or non-licensed healthcare professionals. Do you have an AED on-site? Don't see your course or location? Let us know for assistance.